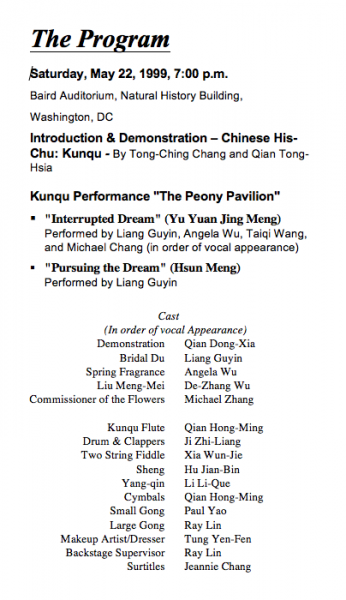 A performance of two episodes of The Peony Pavilion at the Baird Auditorium, Natural History Museum, Washington, D.C., presented by The Smithsonian Associates. 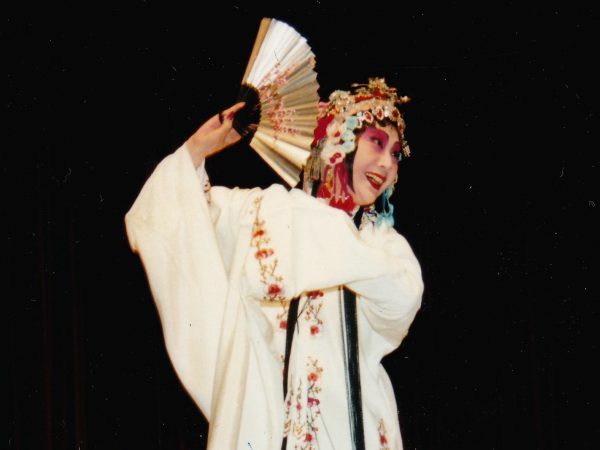 The program featured Ms. Liang Guyin from the Shanghai Kunqu Troupe. The program included an lecture-demonstration on Chinese Kunqu theater.